I would like to a moment to mention that this my 300th review! Long live craft beer, beer tasting, and the fine art of beer snobbery! Description: A seasonal beer from this North Vancouver brewery, this IPA is named for the fact that it is fermented using a combination of farmhouse yeasts. It is then unfiltered, bottle conditioned and generously hopped to create a beer that is cloudy, has strong malts, a bitter, fruity profile, and a strong yeast backbone. Tasting Notes: I was a little surprised by the combination, and a little mixed on the results. Initially, the combination of yeasts, strong malt and hops was sweet and had what tasted like traces of brettanomyces. However, this impression soon faded and was replaced by the somewhat conflicted combination of hop bitterness, malt coarseness, and hop bitterness. So it was a bit hit and miss. Description: A specialty beer produced by the brewery, this beer is fashioned by placing red-hot granite into beer wort. This results in a beer that has pronounced malts and caramelized flavor. It is then bottle conditioned to achieve a balanced flavor that is malt-forward and very syrupy. Tasting Notes: This beer was a twofold introduction. 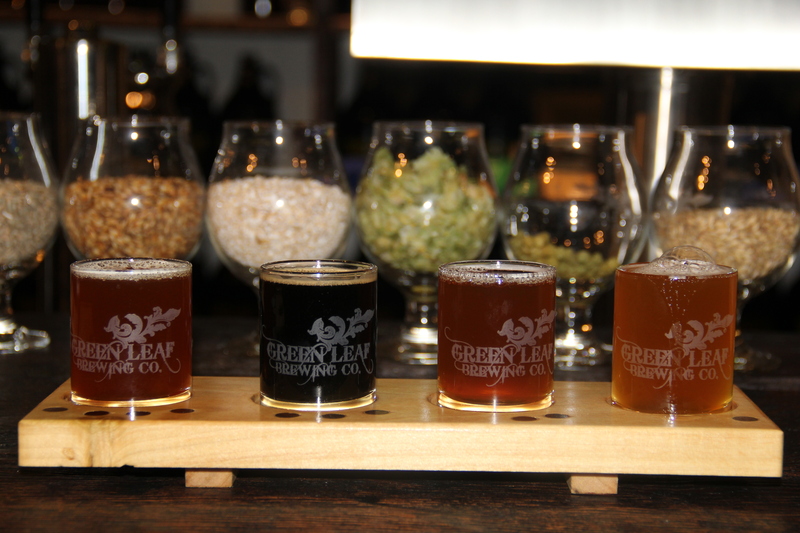 For one, it was the first time I’ve ever had a beer from the Green Leaf Brewery. Second, it was the first and only time I have ever heard of a rock ale; which I have to admit is a pretty cool concept, and has some pretty damn cool results! This ale is not only smooth and very drinkable, its very rich in terms of its malt and caramel flavor. Last week at this time, the wife and I returned from a lovely two and a half week trip to Europe. Arranged by my folks, who’ve done the war tour three times between them now, the four of us spent that time in Belgium and Northern France as part of World War I centenary and our personal exploration of World War II sites. In addition to visiting the many museums, memorials, and cemeteries that honor the dead, we also drank a fair amount of beer. Some of these were familiar to us already, but others were an entirely new drinking experience. And what they told us about the local drinking customs was interesting and even a little surprising. For starters, we already knew that in Belgium, beer is the drink of choice to have with your meals. And whereas we here in North America tend to drink from a pint glass and consider chalices, sleeves and fluted glassware to be something of a novelty. In Belgium, by constrast, the chalice is the standard glass and appears to come in either the 25 or 50 cl (250 and 500 ml) variety. No surprises there, but I was surprised to see just how prevalent these same drinking customers were in Northern France. While I’ve known for some time that wine is the preferred south Normandy, Brittany and the Calais regions, I wasn’t aware just how fond they were of Abbey beers. Cider, certainly, but in these areas, blonde ales from Belgium and local Abbeys are the first thing you find on tap when you come to a bar. And in addition to some Bayeux cider, Pommeau, and a little Calvados, we drank our fill! Affligem Blonde: All over the Normandy region, this beer could be found on tap and was often the brewery of choice for find dining establishments. Given that Leffe is now a favorite of my folks, we were all quite interested in giving this one a try. I was especially interested seeing as how this beer has not yet made it to my neck of the woods. Consistent with the Trappist brewing tradition, this blonde is a crisp, clear, golden pale ale that is quite appetizing and refreshing. Subtle traces of fermenting sugar and yeast also provide a varied palette that is both grainy and slightly sweet. Chimay Blue: This beer is exactly as I remembered it. But of course, it was a treat to drink one while dining out in Belgium. Basically, the Blue is a dark beer has a some powerful malt that is replete with notes of oak, caramel, yeast, and has a dry, peppery finish. Delirium Nocturnum: This is a beer I did not even know existed, let alone had the pleasure of trying, before I visited a lovely bar named The Mayflower in Paris. As the name suggests, this is the dark ale in their lineup. And as the style entails, this beer bears a deeper, fruitier taste than the Tremens. Much like a barley wine, it contains notes of plums, brown sugar, raisins, and a tangy, yeasty profile. Grimbergen Blonde: Yet another Abbey Ale we got a chance to sample during our travels. Whereas Affligem was the ale of choice in Normandy, and Leffe in Ypres, this one was everywhere we turned while in Paris. Compared to its peers, it was the lightest in terms of flavor, but was still very refreshing and balanced. Grimbergen Saison: Honestly, I was not a fan of this seasonal brew. It was an appealing concept, infusing their blonde ale with apples and spices, but the end result tasted a little too much like fruit punch. While it was pleasing at first, the taste quickly became both underwhelming and cloyingly sweet after a few sips. Not a good combination. Kwak: Known as the beer that comes in the interesting glass (a shortened version of a yard glass) Kwak is a Belgian beer from the Eastern Flemish town of Dendermonde. A lovely ruby-red in color, has a nice malty and semi-sweet base, and some light fruit esters that call to mind apple, cherry, and plums. The pint of this that I enjoyed in Paris was the first time I ever tried, or even heard of, this beer, and it was a most pleasant introduction! Leffe Blonde: This beer I’ve had many times over, thanks to the brewery’s immense popularity and worldwide distribution. But it was nice to have it again while staying in the country of its birth. Compared to its peers, it is actually more flavorful, employing that rather unique combination of yeast, grainy malt and touch of honey that Abbey Blondes are renowned for. Leffe Brune: After enjoying multiple bottles of the blonde, my father eventually made his desire for the brewery’s brown ale known. And as luck would have it, the local stores just happened to stock the entire Leffe lineup. Much like their Blonde, this beer had the yeasty backbone and a hint of honey, but with a deeper, maltier base. Maredsous Blonde: Back in Ottawa, I came to know of this brewery and enjoyed their Brune and Triple whenever I was looking for a strong, malty, and slightly sugary Belgian brew. However, this was the first time I ever tried their flagship Blonde, which is lighter, but has that characteristic yeasty, grainy flavor with a floral, slightly spicy finish. Maredsous Tripel: As usual, this beer delivered in all the requisite departments, being deliciously malty, yeasty, smooth, and with a hint of sweetness that gives balance to its strong alcohol content. This beer was enjoyed (amongst others) at a Parisian bar named the Mayflower, where they are in the habit of pouring extra-strong Belgian ales into pint glasses for their patrons. A festive time ensued! Orval Trappist: Another “old faithful” beer, I drank a bottle or two of this while dining out with the wife in Ypres, Belgium. As always, the dark, Trappist ale had some strong, crisp malts that were oaky, dry, and had a hint of cherry flavor. Always good to enjoy a favorite beer in the land of its birth! Page 24 Reserve Hildegarde Blonde: Yet another regional blonde ale that I enjoyed while in Paris, the esoteric appeal of the name alone was worth the price. But in addition, it was also a pleasingly tasty and refreshing ale, with a nicely balanced flavor that is gently malty, lightly hoppy, yeast, and with a hint of spice. And unlike most of the other blondes enjoyed on this trip, this ale was actually brewed in France (St. Germain Brewery, Nord-Pas-de-Calais region), rather than being a Belgian import. 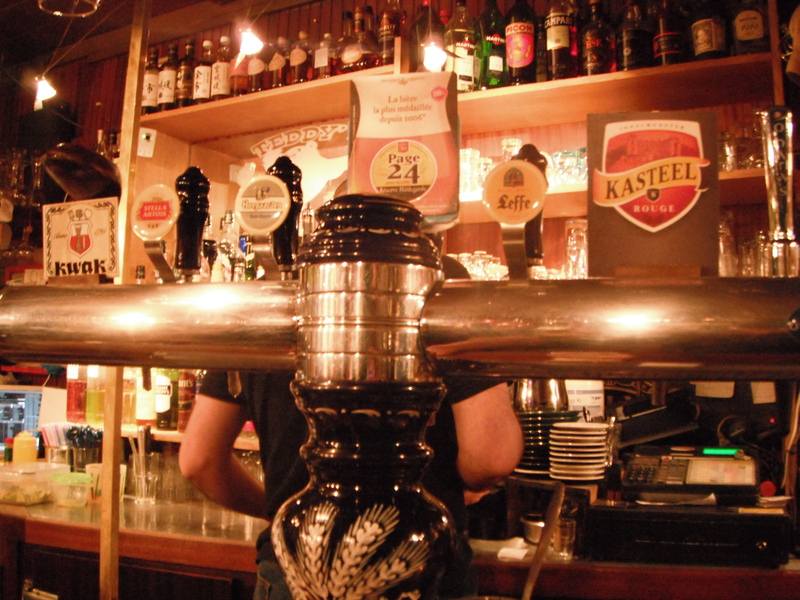 Passchendaele Blonde: This was another blonde I enjoyed while in Ypres, and for obvious reasons. In addition to wanting to drink the local beer, I thought it wonderfully appropriate to enjoy one that paid homage to the Great War. Brewed by the Van Honsebrouck Castle Brewery in honor of those who fell in the Battle of Passchendaele in 1917, this ale is relatively light in color, alcohol content (5.2%), but still has that distinct, Abbey ale flavor, with grainy malt, yeasts, dry hops, and a slightly spicy aftertaste. Pelforth Blonde: Definitely was not a fan of this one. I ordered it out of curiosity, at a restaurant where it was the only other beer on tap aside from Affligem. It was the cheaper option, and I could immediately see why. Basically, it had the taste of a generic beer, being both watery and flat in terms of flavor. Primus Pilsner: During our final dinner in Ypres, whilst I enjoyed a Chimay Blue and an Orval, the wife enjoyed a tall glass of this fine pilsner. While it was certainly very light and not too heavy on the grainy malt and bitter hops Pilsner’s are known for, it certainly delivered in the drinkability and refreshing departments. 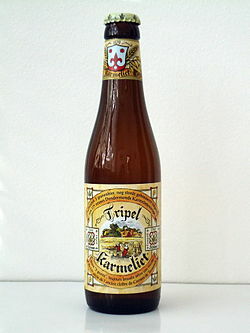 Tripel Karmeliet: Also enjoyed at Mayflower, this beer was paired with a Maredsous Triple. It takes its name from the fact that monks of the Order of Carmel have been making it since the late 17th century, and from the three grains fermented to make it. These include wheat, oats and barley, which are then refermented in the bottle to fashion the golden ale. The end result is a syrupy, malty beer that has a hint of sugar sweetness, is slightly coarse, and pretty strong in the alcohol department (8.4% alc/vol). Westmalle Tripel: This Belgian brew is already one of my all-time favorites. But there’s something to be said about being able to enjoy it in the country of its birth, not to mention being able to purchase it for less than 2 Euros (roughly three Dollars) a bottle! Best case of hotel room drinking I’ve experienced to date! Obviously, this year’s journey to Europe was not for the purpose of “drinking in” the local culture. No, that was just a bonus to everything else we got to witness, experience, adn share. And as you can see, measured strictly in terms of the amount of beers sampled, it was a pretty wonderful time! I do hope to repeat the experience again someday and venture even further afield, perhaps visiting the abbeys and monasteries themselves, and also delving into those wonderful Flemish sours! 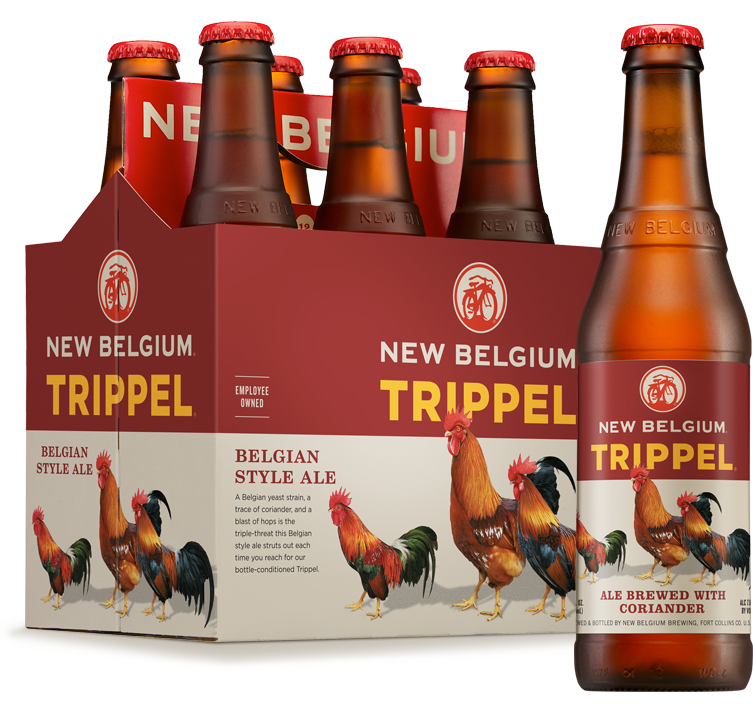 Description: Brewed in the Belgian style of extra strong ales, this Trippel is bottle conditioned and fermented for an extended period of time and spiced with coriander. The end result is a yeasty pale ale that contains notes of pear, apple, and ginger spice alongside a subtle hint of spice. Tasting Notes: I will admit that I was expecting a bit more in the way of malt and oaky flavor. By comparison, this beer was lighter and more subtle, but no less pleasing or appealing. The notes of apple, pear and ginger were a nice surprise, and played quite well to the smooth malty flavor and mild spice notes. Yet another winner from this venerable brewery! 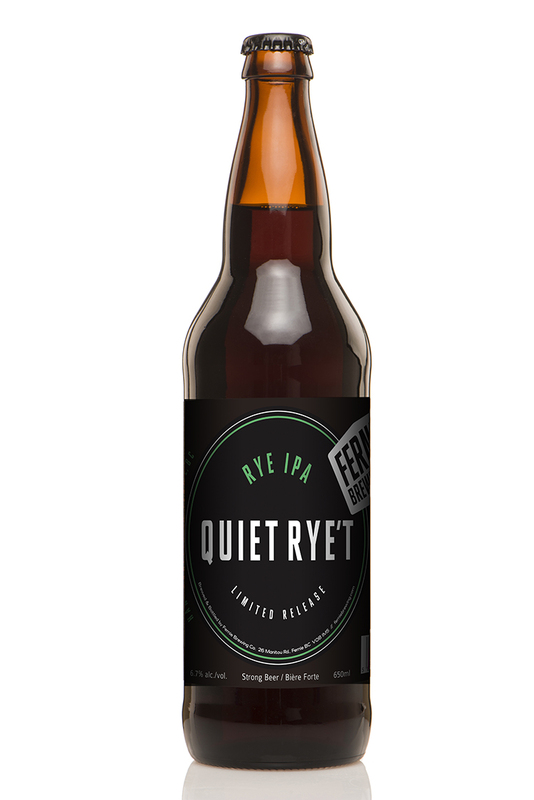 Description: As part of the breweries “IPA Bucket List” – which is described as “a collection of four unique and flavoursome small-batch IPA’s launching throughout the year” – this rye IPA is available during the months April/May, alongside their Last Cast Summer IPA. Tasting Notes: While I am a fan of this brewery, my range of sampling from this brewery is unfortunately limited. So I’m glad I’m getting into their limited run stuff, since they are a pretty good way of seeing exactly what a craft brewery can do. And their rye IPA was a good example of a West Coast IPA, being both strong in malt and containing a good dose of citrus and tropical fruit notes. This is nicely balanced by the rye flavor, which provides some bittering but also evens out the malt and hop flavors. 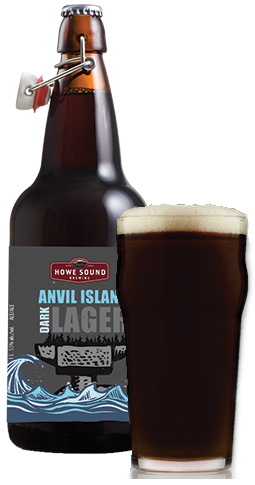 Description: As part of their series of limited release beers, the Anvil Dark Lager takes its name from the third-largest island in Howe Sound, and is made using dark crystal malts as well as German and Polish hops. Consistent with their reputation for bringing home awards, the Anvil Dark Lager won the gold medal from the North American Beer Awards in the Munich-style Dark category. Tasting Notes: I’ve rarely met a Howe I didn’t like. And unfortunately, I’ve been somewhat negligent in my sampling from this brewery in recent years. Anyway, as dark lagers go, this beer was no slouch and had all the right things going for it. These included toasted malts, hints of chocolate and coffee, a light hop and roasted malt bitterness, and a nice, clean finish. Definitely one of their hits! 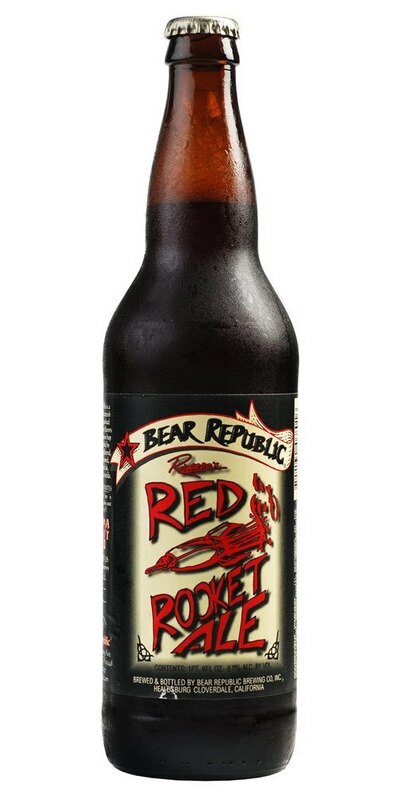 Description: In what is described as a “bastardized” version of the traditional Scottish Red, the Red Rocket is an amber ale with West Coast twist. This comes in the form of a generous hopping, and which is unfiltered and bottle conditioned to boot. Tasting Notes: The combination of influences and styles in this beer was something I genuinely approved of. The Scottish Red comes through in the rich malt and notes of peat moss and smoke, while the West Coast-style hopping brings a nice, citrusy kick to the mix that balances things out well. In many ways, I was reminded of 5 AM Saint by Brewdog, which is one of my all-time favorite amber ales.